Birthmarks are very common blemishes that appear on the skin at birth or shortly thereafter. Birthmarks can be found anywhere on the body and vary considerably in texture, shape, size and color. The majority of birthmarks are harmless, except for the aesthetic aspect. There are two main types of birthmarks; pigmented and vascular. Pigmented birthmarks are caused by the clustering of pigment cells and are usually brown, grey, bluish or black. They include moles, Café-au-Lait Spots and Mongolian Spots. On the other hand, vascular birthmarks are usually red, pink, purple or bluish in color, and are caused by abnormal blood or lymph vessels just below the skin’s surface. 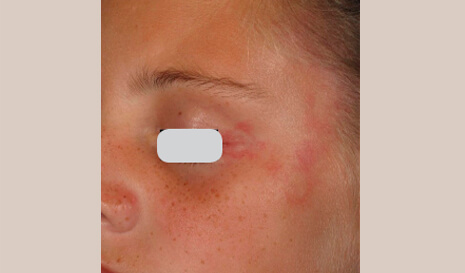 Vascular birthmarks generally do not fade away and include Macular Stains, Salmon Patches, Stork Bites, Angel Kisses, Port-Wine Stains and remnant Hemangiomas. Who Suffers From Birthmarks ? Many newborn children have some sort of birthmark or transient spots on their skin. Salmon Patches are the most common type of birthmarks while Café-au-Lait spots, and Port-Wine Stains are less prevalent. Mongolian Spots are very common in children of Asian, East African and First Nations descent. 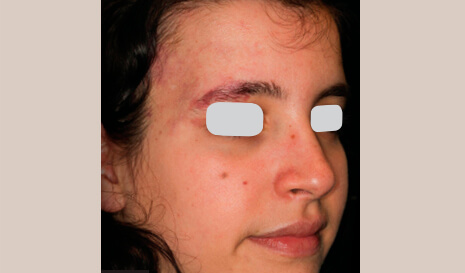 An effective treatment for birthmark removal and port wine stain removal. 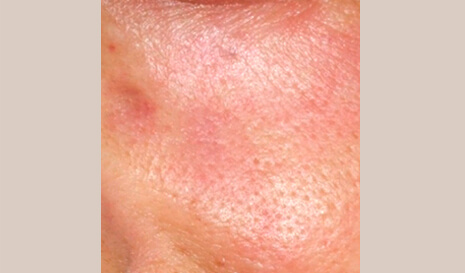 Effective results over a sequence of treatments, with no downtime.